Which user executed this package? The execution time of the package? From which machine he/she executed? 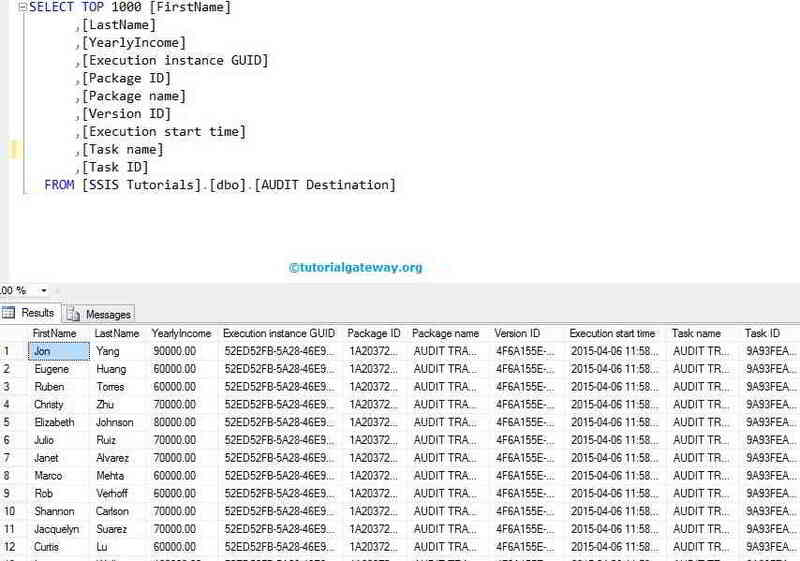 What is the task ID, PackageID, Name of the Package etc? 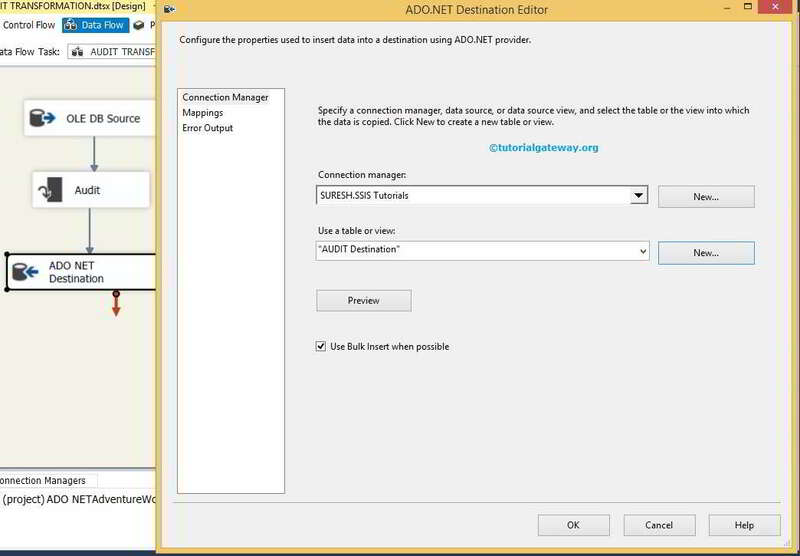 Then we can use this SSIS audit transformation to store that information in the destination table. ExecutionInstanceGUID – The GUID that identifies the execution instance of the package. PackageID – This is the unique identifier of the package. PackageName – Shows the name of the package. VersionID – The unique version number of the package. ExecutionStartTime – The time the package started to run. MachineName – The Name of the computer. UserName – The login name of the person who started the package. 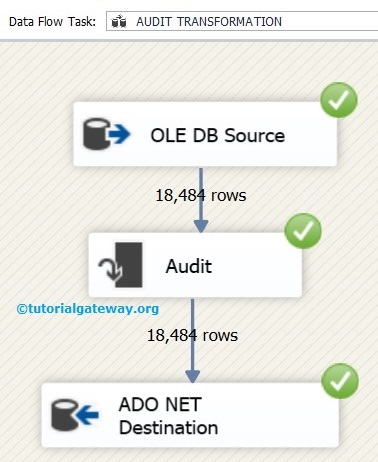 TaskName – Name of the Data Flow task with which the Audit transformation is associated. TaskId – The unique identifier of the Data Flow task. 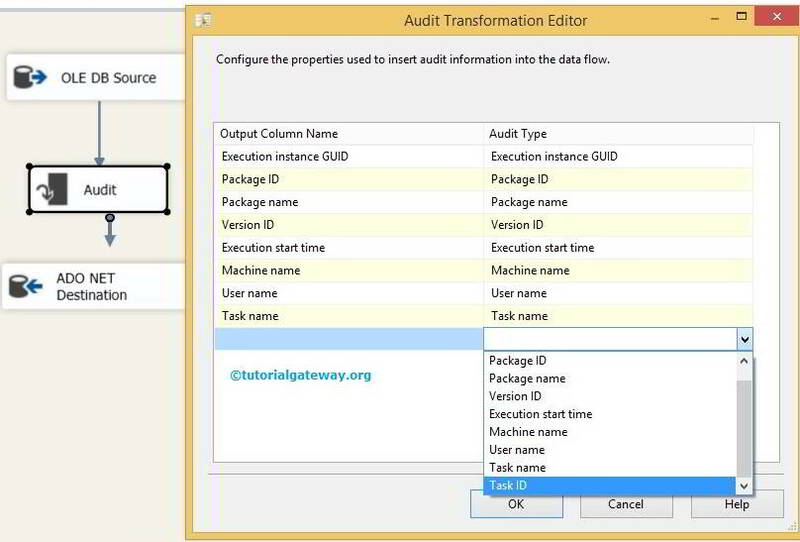 STEP 1: Drag and drop the data flow task from the toolbox to control flow and rename it to Audit transformation. For the time being, we selected first name, last name, yearly income from Adventure Works database and we want to send the same to the destination table with extra audit information. Select the required Audit Types and click ok. Here, we are selecting all the audit types. 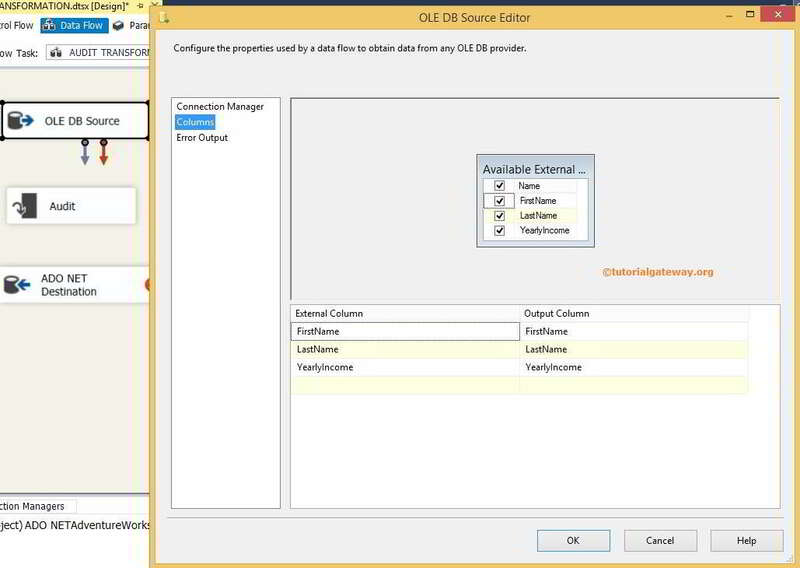 NOTE: You can change the Column name as per your requirement by editing the Output Column Name field. 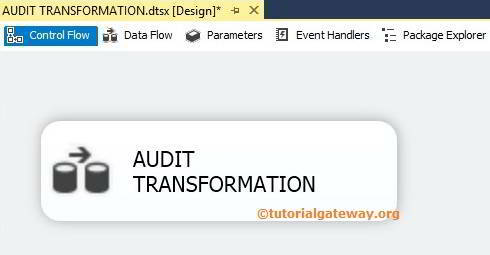 From the above screenshot, you can observe, We are storing the audit transformation data in the [AUDIT Destination] table present inside the SSIS Tutorial database. 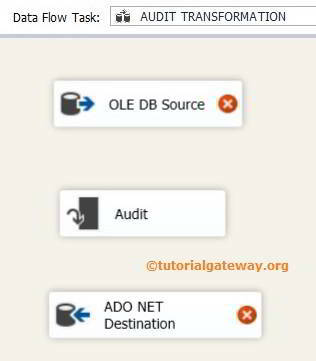 STEP 7: Click on the Mappings tab to check whether the source columns are exactly mapped to the destination columns. 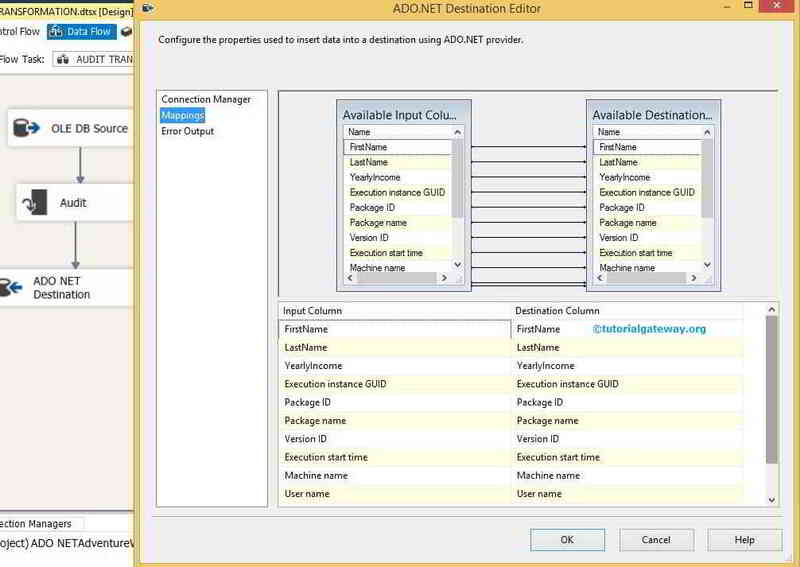 NOTE: If your input column names and destination column names are same, the intelligence will automatically map. If there are any changes in the column names (any alias columns or any calculated columns) then we have to map them manually. 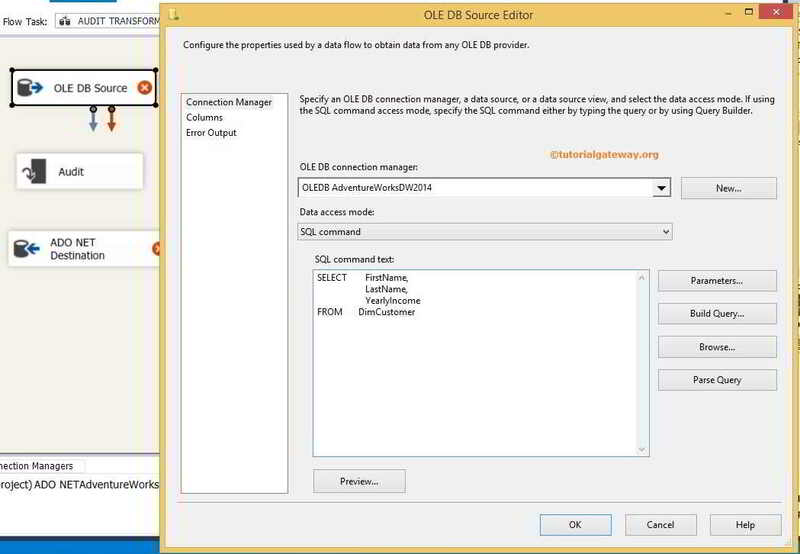 NOTE: The Audit Transformation in SSIS doesn’t support an error output.